Characteristics: Low growing herbaceous perennial shrub bearing rose pink foliage which matures to a deep purple. Growth & Spread: Ultimate height and spread of 0.1 – 0.5m. Flourishing Season: Clusters of light purple flowers in summer. Water & Maintenance: Plant in medium moisture, well-drained soil. Keep in full or partial shade. 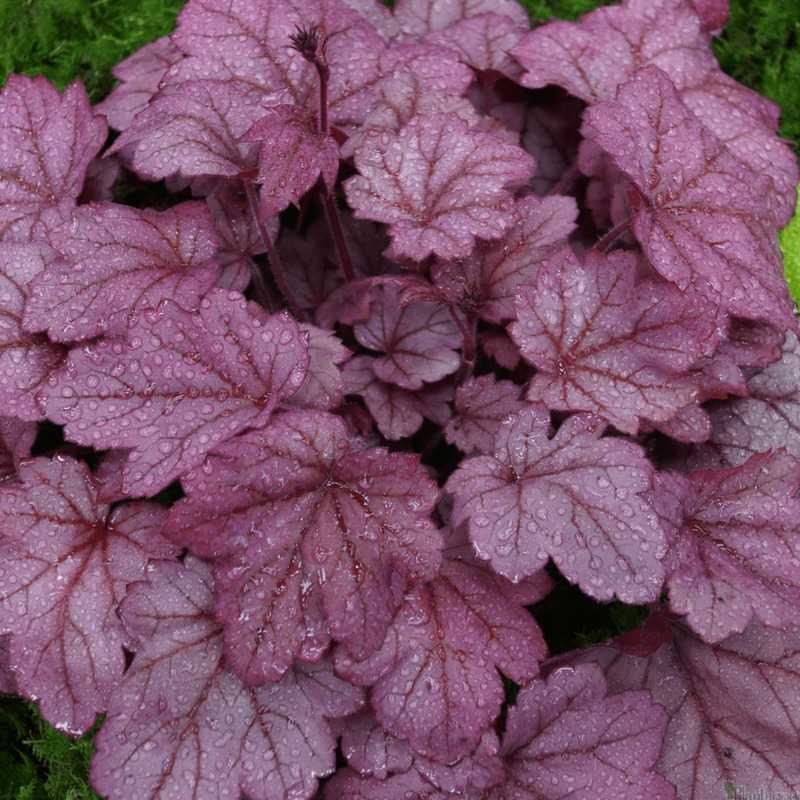 Heuchera ‘Grape Soda’ is a vibrant option of Alum Root and a great choice for adding some rich colour to your garden. A low growing, mounded shrub with large, light purple leaves which mature to a silver-tinged, deep purple hue and slender stems bearing loose panicles of pink-purple flower appearing above the foliage in Spring and lasting through the Summer. The dramatic colours make this heuchera perfect for ground cover as part of mixed borders or rockeries or used in a container or pot. Grows best in moderately moist, well-drained soil and when kept full or partially shaded. If left in full sun it will suffer leaf scorch during the hotter summer days causing some bleaching and fading of leaf colour.